Root canals can save your smile and alleviate chronic tooth pain! Thanks to root canal therapy, your tooth pain will disappear, you can keep your tooth, and your smile will look better than ever. Dr. David Craft at Craft Dentistry in Manhattan, Kansas offers state-of-the-art root canal therapy to make you want to smile again—read on to learn more! It’s important to remember that you may also not experience any of the signs or symptoms listed above, and may still need a root canal. That’s because a tooth can begin to die naturally, and for no apparent cause. Regular dental examinations including x-rays are the only way to determine for sure whether you may need a root canal. Your dentist will take x-rays of the roots of your teeth and look for dark areas around a tooth root. These dark areas indicate an abscess (infection) and the need for a root canal. Your dentist may also perform temperature and vitality tests on your painful tooth. If you think you may need a root canal, you should talk to an expert! Call Dr. David Craft at Craft Dentistry in Manhattan, Kansas, today at (785) 370-4662 to get rid of your tooth pain! Has your smile lost its luster? Cosmetic dentistry procedures can correct flaws, repair damage, and even improve the color of your teeth. Your Manhattan, KS, dentist, Dr. David Craft, offers all the cosmetic services you need for an attractive, healthy smile, including teeth whitening, veneers, crowns, and other tooth restoration options! No matter what your complexion, yellow is never a good look for your teeth. Luckily, professional teeth whitening can brighten your smile in just about one hour! During your whitening session, your Manhattan dentist uses professional-strength hydrogen peroxide gel to safely break apart stain-causing pigments in your tooth enamel. The result is a brighter, whiter smile that you'll be proud to share with the world. Concealing imperfections behind a thin layer of porcelain is the easiest way to hide flaws in your tooth enamel. These tooth-shaped porcelain shells are called veneers and they are cemented to the fronts of your teeth to keep problem areas hidden from view. They're a good choice if you want to hide small chips or cracks in your teeth, conceal slight gaps, or fix the length or shape of teeth. Veneers also offer an alternative to tooth whitening and can be used to cover a discolored tooth or whiten your entire smile. 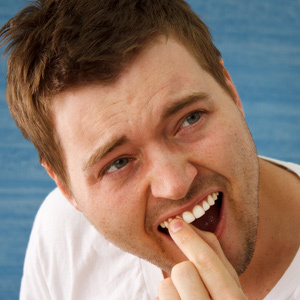 Do you need to protect a fragile molar, repair damage to an incisor, or hide flaws in a tooth? Versatile dental crowns can take care of all of these problems. These hollow crowns are designed to fit your mouth perfectly and are created using impressions of your mouth. 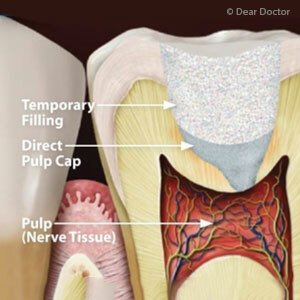 The restorations cover teeth completely and prevent fragile teeth from fracturing and breaking. They're also used to restore the normal appearance and function of fractured or broken teeth, and to conceal cosmetic issues such as discolorations or too-short of teeth. 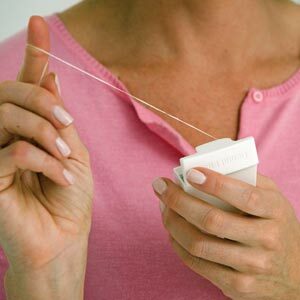 Many people are understandably concerned about changes in their appearance after tooth loss, but losing a tooth can also affect your ability to chew and may cause your remaining teeth to drift. Bridges, dentures, and dental implants fill these gaps in your smile and make eating a much more pleasant experience. Revitalize your smile with cosmetic dentistry procedures! Call your Manhattan, KS, dentist Dr. David Craft at (785) 370-4662 to schedule your appointment.